Here in Rebellious Brides, we regularly check our analytics to keep us in tune with you guys---where you are, what you like to read, and perhaps what you guys also don't necessarily like to read. 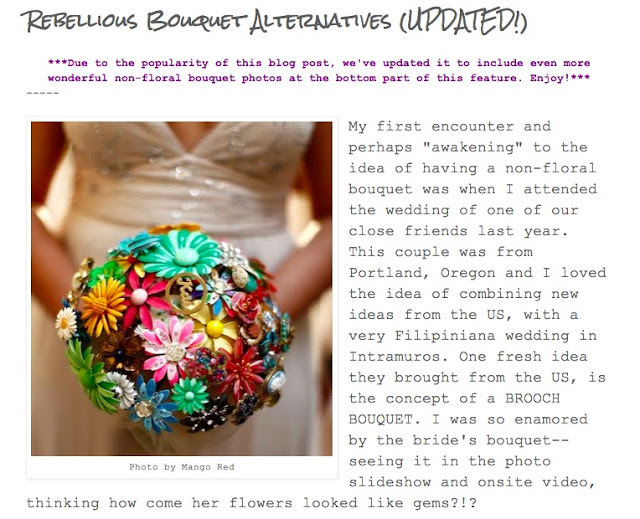 For instance, it amuses us to know that despite our Rebellious Bouquet Alternatives blog post being a little outdated (it is one of the first, oldest posts we've had on the blog), it is still your favorite feature to read! And this blog post is not just the most widely read of all time, but it is also popularly read on a monthly and weekly basis! And since we realized that this post is a super favorite but also a little over a year old, we've decided to update it a bit for you all.